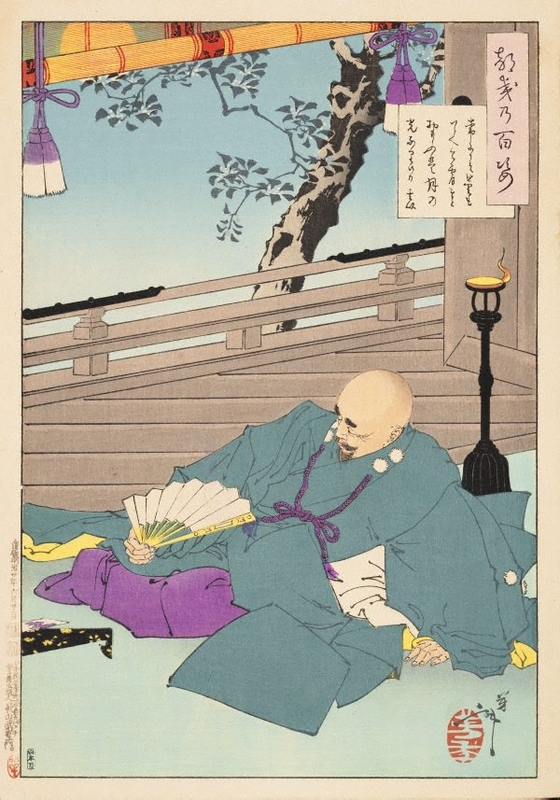 Gen’i is the Buddhist name of Maeda Munehisa, a 16th-century priest and astute politician hailing from the powerful Maeda clan, lords of the Kaga domain (today Kanazawa prefecture). 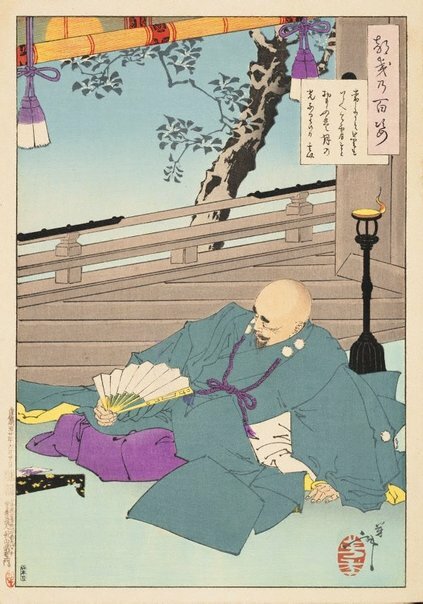 Reclining on the veranda of a temple building, Gen’i gazes at the moon, shrouded by clouds, and reflects on how the material world separates the self and the Buddha nature (symbolised by the full moon). The poem in the title expresses his thoughts.